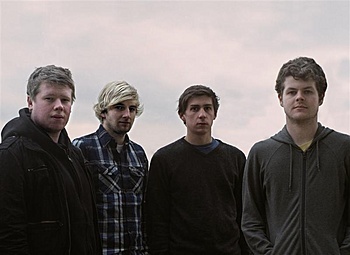 Scotland’s next big export is a quartet that go by the name, We Were Promised Jetpacks. I feel like they bring a sort of freshness to the indie scene. Their first single, “Act on Impulse,” is more of a melancholy jam session, where the vocals take a back seat to the driving drum beat and passenger-side guitars. With that said, this one makes me want to just get in the car and drive… down the California coast perhaps?